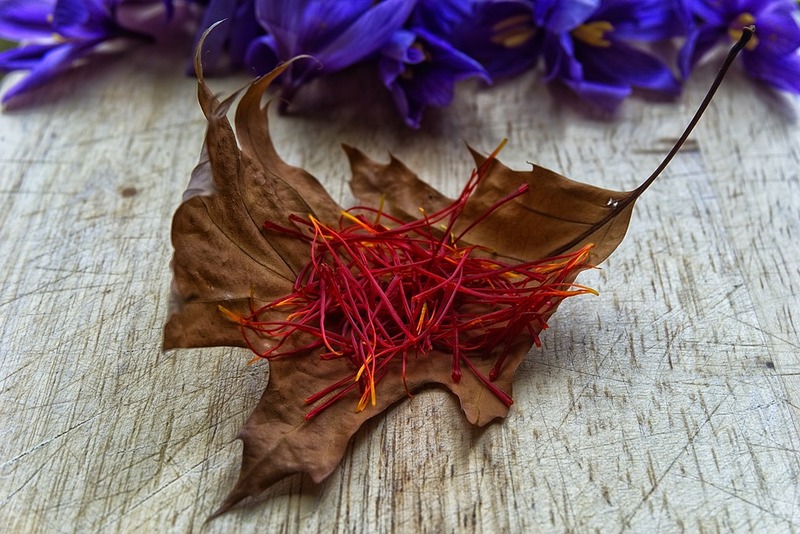 One of the most expensive and treasured spice in the world, Saffron is obtained from the filaments that grow inside a flower known as Crocus Sativus, found in Asia, some parts of Europe and extensively in India. A single gram of saffron require a huge quantity of flowers which makes it exotic and expensive at the same time. Mix organic rose water with a few strands of saffron. Let them soak till the color of saffron steeps into the rosewater. Apply all over cleansed face and neck and let air dry. Use regularly for maximum benefits and in a few days you will notice hydrated and glowing skin. Soak a few strands of saffron in required quantity of raw milk for about one hour. Add little sandalwood powder to the mix and apply all over face and neck. Let it dry for 20 minutes and wash off with lukewarm water. The gentle exfoliating qualities of milk combined with skin brightening qualities of saffron work wonderfully together. You can apply saffron-rosewater mix to tone the skin. Mix a few strands of saffron with required quantity of organic honey. Let the strands soak for some time. Apply all over face and neck area with gentle circular motions. Wash off with lukewarm water after 15 minutes. Honey will deeply moisturize the skin and saffron will add a glow. Grind together few organic tulsi leaves with few strands of saffron. Apply over acne and blemishes regularly to get rid of them to reveal soft skin. The anti bacterial properties of saffron and tulsi help fight acne effectively. Mix a few saffron strands with enough milk powder and some water. Apply all over face and neck area and let it dry. Wash off with lukewarm water and pat dry. The concentrated goodness in milk powder softens skin and saffron helps brighten dull skin. Soak a few strands of saffron in warm milk for about 30 minutes. Add the saffron-milk mix to enough gram flour (for whole body) and mix well. Add a few drops of lemon juice and some milk cream (if you have dry skin or during winters). Apply all over body and let dry. Once dry remove in gentle circular motions and follow with a lukewarm water bath.